I have to admit that I've loved all Sue Moorcroft's books, so you can imagine how thrilled I was when Choc Lit sent me a copy of Love and Freedom. Martyn Mayfair is devastatingly handsome, he has a body that he keeps toned by his daily runs and even though his family history is a little quirky, he is kept on his toes by his four much older sisters. Well, one of the sisters happens to be his mum, but it they're both happy to think of her as a sister. The book starts with Martin rescuing Honor Sontag, who, suffering from jetlag, falls asleep in the sun in the small bungalow she's rented from his mother/sister for the next four months. Martyn summons his other sister, a doctor, to help Honor and is given various jobs to do for Honor as she's unable to leave the house for a few days. They soon become friendly and Martyn can't help being attracted to the fiesty, petite American. Unfortunately, he discovers that she's married and her time in England is to put distance between her and her wayward husband as well as looking for her estranged mother. Martyn doesn't like the idea of becoming involved with a married woman and resolves to keep his distance, emotionally at least, from Honor. Needing to find a job, Honor horrifies Martyn by taking work as a waitress in the local tearoom as it's run by his stalker. Honor has to make sure she doesn't let her employer see her with Martyn, as neither of them want to have to deal with the consequences, but everyone in the town knows everyone else and they all know Martyn Mayfair and his family. Honor becomes close to her flaky employer's teenage son, who is having problems of his own. She also feels a little sorry for Martyn who only seems to have occasional work and the rest of the time is given jobs to do by one or other of his aunts. Then she discovers he's a male model and seeing his brooding, half naked image on the side of a bus, she realizes why and starts to feel a little awkward around him. She can't help feeling attracted to him, but knows how he feels about married women, so they resolve to be friends, but how can two people who are so clearly attracted to each other manage to stay that way? And if the most important thing to Martyn is honesty, then how will he cope when he discovers the secret Honor has been keeping from him? I was drawn in to this story from page one. Martyn is delicious and Honor is generous as well as brave. Their lives are on such different paths that it seems impossible for there to ever be anything between them. Both come from complex families and each have issues they need to deal with culminating in twists and turns that I had no idea were coming and kept me reading until 1.30am, which wasn't good as I had an especially busy day at work to contend with the following day. Worth it though. I still can't get Martyn out of my head and I'm sure you won't be able to either when you read this book. Love & Freedom will be published by Choc Lit on 1 June 2011. You can preorder it now or read the first two chapters. And you can listen to a recording of the FREE prequel chapter here. 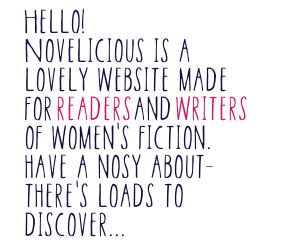 You can discover more about Sue at her website www.suemoorcroft.com and visit her blog at http://suemoorcroft.wordpress.com/ for news and writing tips. You’re welcome to befriend Sue on Facebook or Follow her on Twitter. All of Sue’s Choc Lit novels and Love Writing are available as ebooks.